This year I am preparing by watching productions of the shows I am in, learning the music and thinking about how I will take on my characters, both named and chorus. Reviewing all of my notes from last year will help with this immensely as well! Also, buying new character shoes. I had an amazing experience attending the program last year! I learned so much and made so many connections, both professional and friendships, that are so important in this age of music and opera! Being in a production at Opera NUOVA is such a neat experience; the level of professionalism of both the students and directors is astounding. This year I am so excited to focus on acting with the talented mentors who are being brought in specifically to NUOVA, and making more memories and connections with artists from across Canada! I also cannot wait for dance class!!. Originally from Medicine Hat, Alberta, Hannah Nickel grew up surrounded by music. Her parents supported her interest and love of the arts being musicians and singers themselves, and guided her through years of singing, piano, choir, ballet, synchronized swimming, and music theory lessons growing up. 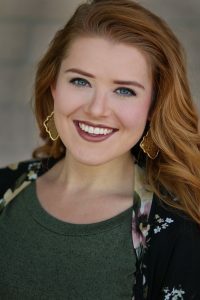 Hannah's love of singing and performing lead to her pursuing a Bachelor of Music at the University of Lethbridge, where she had multiple opportunities to sing with the Lethbridge Symphony Orchestra and the Medicine Hat Concert Band. Hannah loves going to live opera, theatre, concerts, and music festivals, but also finds immense joy in dancing, dogs, swimming, and chocolate!